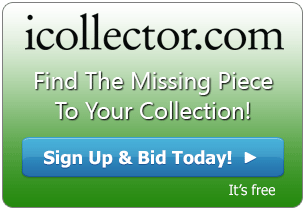 Arizona auctioneer, AZ Elite, is broadcasting their November 17th Auction for live internet bidding on iCollector.com. This carefully prepared auction delivers 400 lots to the auction block. 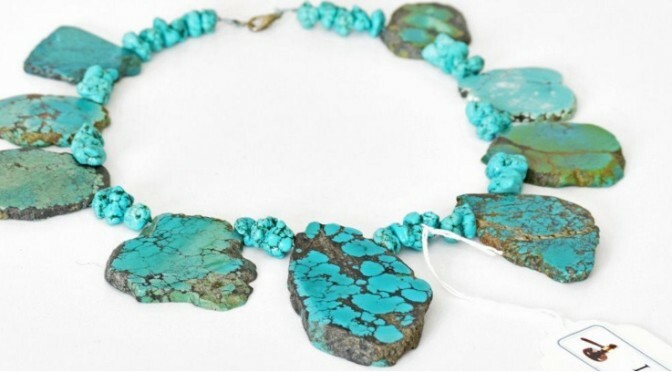 The items will include fine gold jewelry, Native American sterling silver jewelry, fine art, collectibles and antiques. There will be brand names up for auction such as Tiffany & Co, Lalique, Louis Vuitton, Chanel, Gucci and Marc Chagall. These are only a selection of what is available for bidding. The catalog is online and ready for viewing to see all of the pieces. Arizona Elite Auction House is a name and place that speaks of extraordinary art, jewelry, and antiques; and they parallel this with great service and expertise. They offer estate estimates, appraisals, and valuations for consignors, executors, and fiduciary advisors. They are located in Scottsdale, Arizona and are consistently putting together quality auction catalogs. Native American work is showing throughout the sale. An early highlight in the catalog is at Lot 60. Presented here is a Native American Zuni multi inlay bracelet by famous Zuni jewelry artist Bev Etstate. The bracelet measures 5.25” on the inside and the gape is 1”. The face medallion measures 1.75” by 1.25” and carries a weight of 27.2 grams or .87 ounces. This lovely piece is a great value with a pre sale estimate of only $250 to $300. There are four photos available for online inspection and bids can be placed right on the item page. A great watch that makes a great gift can be had at Lot 126. This is a beautiful Men’s Stainless Steel Oceanaut Mariner watch. The case and the bracelet are stainless steel, and there is a yellow dial. The hour markers are white luminous and the date window is situated at the three o’clock position. This great watch is water resistant up to 200 meters and includes the box, papers, and warranty card. This watch is brand new and of note is the storage box has a broken lid. This is another great buy with a great estimate of $400 to $600 for an excellent watch. Tiffany & Co collectors need to get over to Lot 175 and take a look. This piece of beautiful jewelry is an authentic Oval Tag Necklace. The necklace measures 15.25” long and a total weight of 52.3 grams. The necklace is in good condition and the photos in the online catalog give a great look at this piece. Another great Tiffany and Co piece is a serving tray up for auction a few lots later at 248. This lot is an Elsa Peretti Sterling Silver Tray. The tray has a diameter of 12.25” and weighs 765.2 grams. This is a used tray with some scratches and looks beautiful and ready to be added to the home. There will be brisk bidding on this piece and it looks to sell in the $800 to $1200 range. The auction begins live bidding at 6PM Mountain Time on Tuesday November 17th, 2015. AZ Elite and iCollector.com will also be offering a live audio and video feed for this auction to give bidders the real feel of being there. Absentee bids are recommended for anyone who may not be available Tuesday night. The full catalog with photos and descriptions is available for review and the auctioneer is excited to answer any questions.